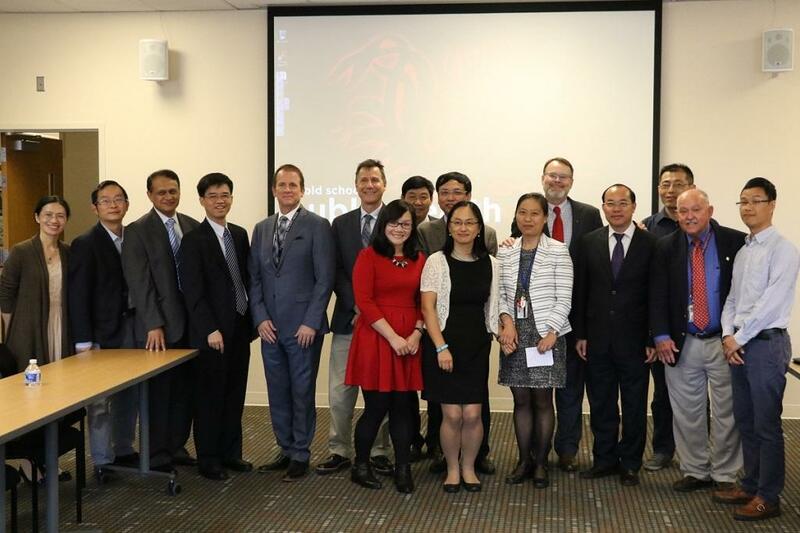 A group of representatives from Guangxi Medical University (GMU), which is located in the city of Nanning in mainland China, met with USC and Arnold School leaders on November 1. 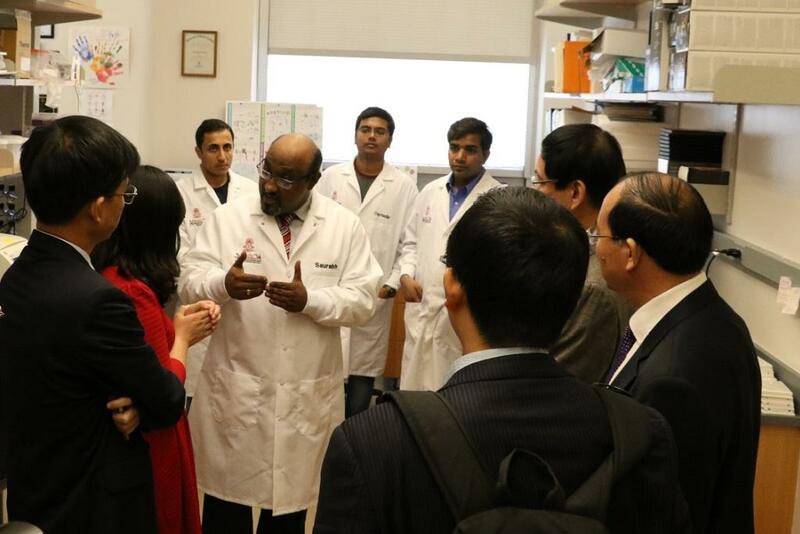 The delegation team included members of GMU’s epidemiology, pediatrics, international education, and other areas. 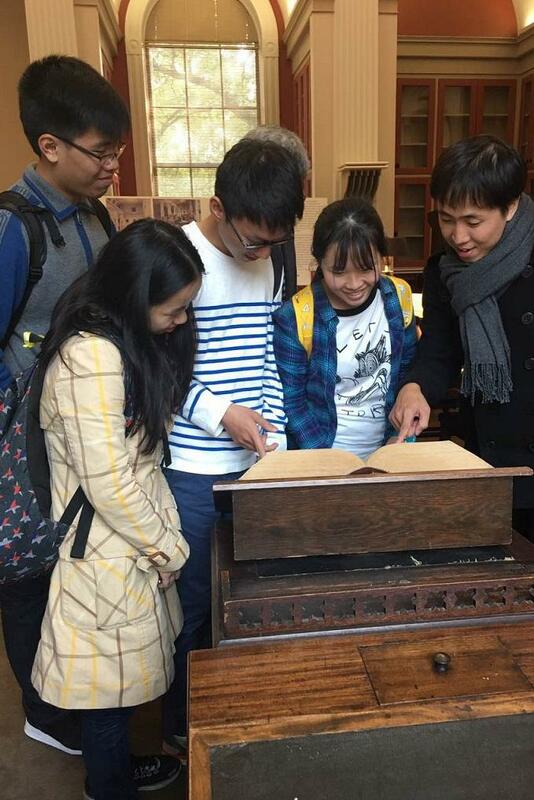 Two weeks later, a group of GMU students and two faculty members made a trip to the Arnold School during the week of November 13. 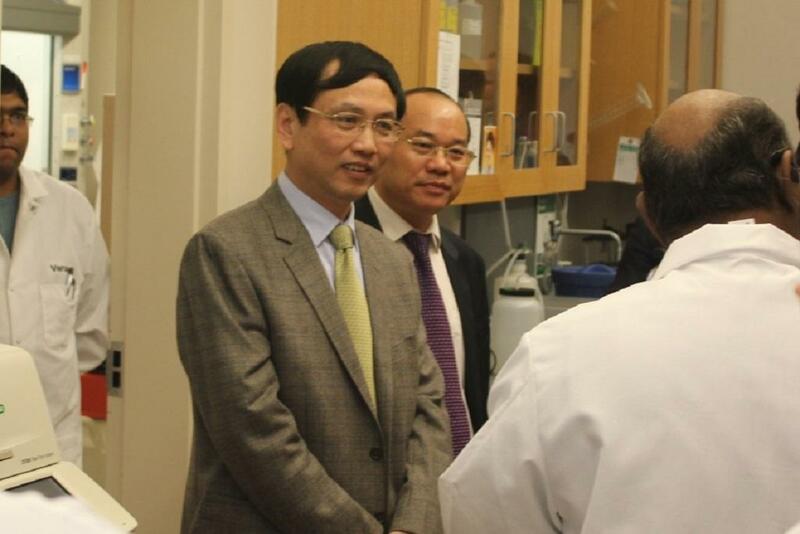 The two visits reflect the growing relationship and collaborative interests between the two universities. 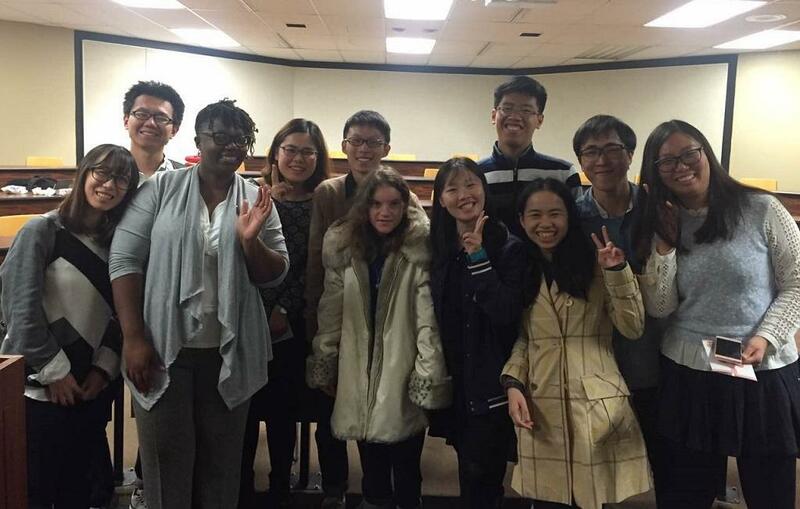 Despite a whirlwind trip to the United States, the GMU delegation team prioritized a visit to the University of South Carolina to discuss possible collaborations, such as dual degree programs, faculty/student exchanges, and overlapping research interests. 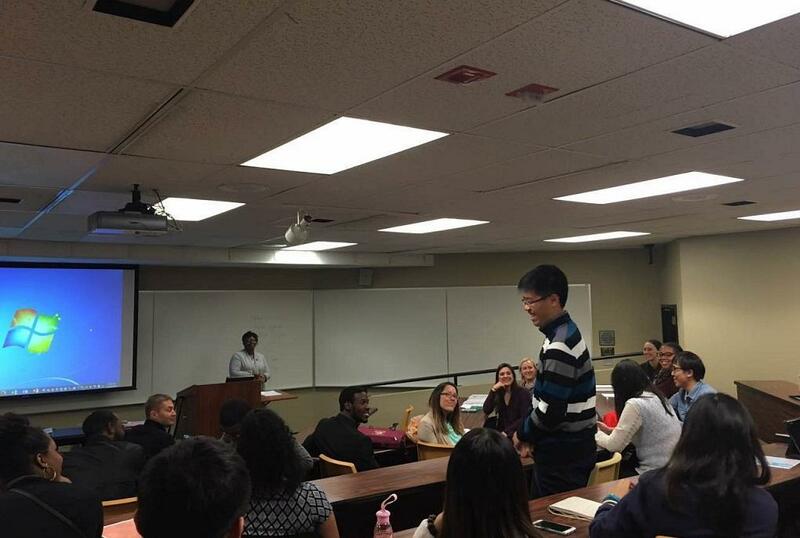 A diverse group of faculty and administrative leaders from USC/Arnold School of Public Health* and GMU** represented each institution. This is not the first visit between the two universities. 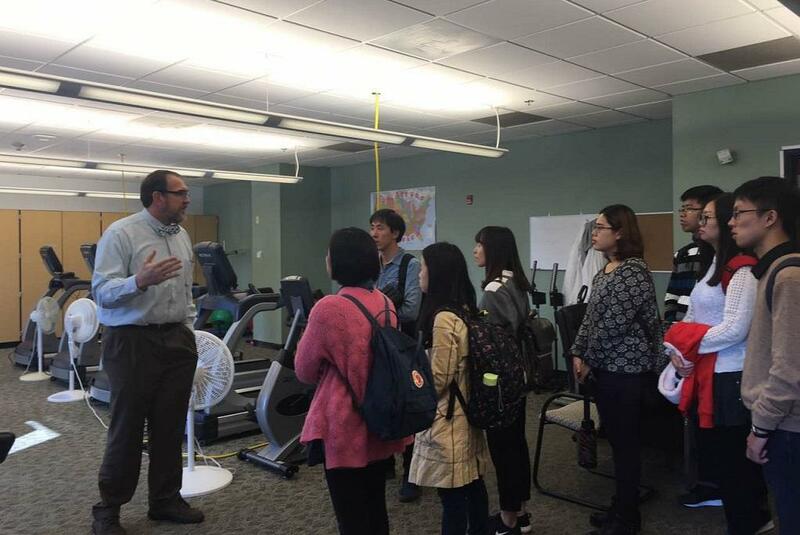 Discussions about collaborative opportunities and shared interests have been ongoing for some time (including a visit by USC and Arnold School leaders to GMU during a trip to Taiwan and mainland China this summer). 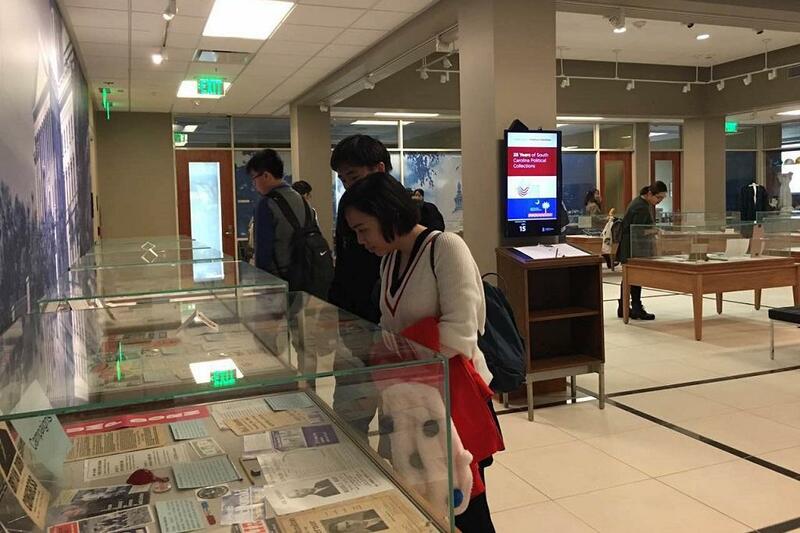 Both groups have a strong interest in working together on research projects to learn more about the health of the Zhuang people. This ethnic group lives primarily in Southern China in the Guangxi Zhuang Autonomous Region. With a population of 18 million, the Zhuang people are the largest ethnic minority group in China. The Zhuang people may also have the longest lifespan of any group of people on the planet, with an unusually high percentage of the population living beyond 100 years. 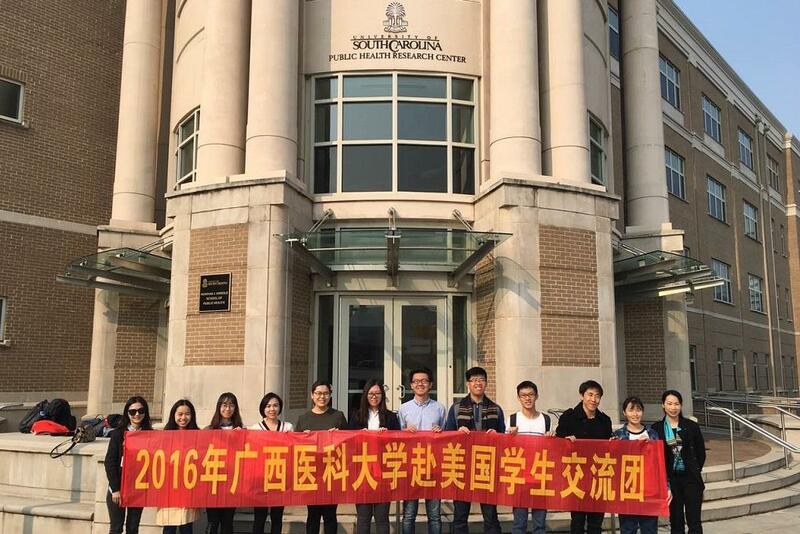 GMU has been working with a cohort of approximately 20,000 Zhuang people to collect health-related information and biological samples. Their researchers are interested in partnering with UofSC faculty to analyze the data to learn as much as possible about this unique group and the reasons for their long lifespans. “The study has the potential to result in ground-breaking findings and involves many types of samples collected from the study group and now held—for later analyses—in ultra-cold freezers at GMU,” says Alan Decho, Associate Dean for Research at the Arnold School. *Arnold School representatives included Dean Thomas Chandler (ENHS), Associate Dean for Research Alan Decho (ENHS), Associate Dean for Faculty Affairs and Curriculum James Hardin (EPID/BIOS), Chair Mahmud Khan (HSPM), Chair Geoff Scott (ENHS), Chair James Hussey (EPID/BIOS), Associate Professor Jihong Liu (EPID/BIOS), Assistant Professor Feifei Xiao (EPID/BIOS), Associate Professor Bo Cai (EPID/BIOS), Associate Professor Jiajia Zhang (EPID/BIOS), Associate Professor Jan Ostermann (HSPM), Assistant Professor Sarah Rothenberg (ENHS), and Associate Professor Jim Thrasher (HPEB). 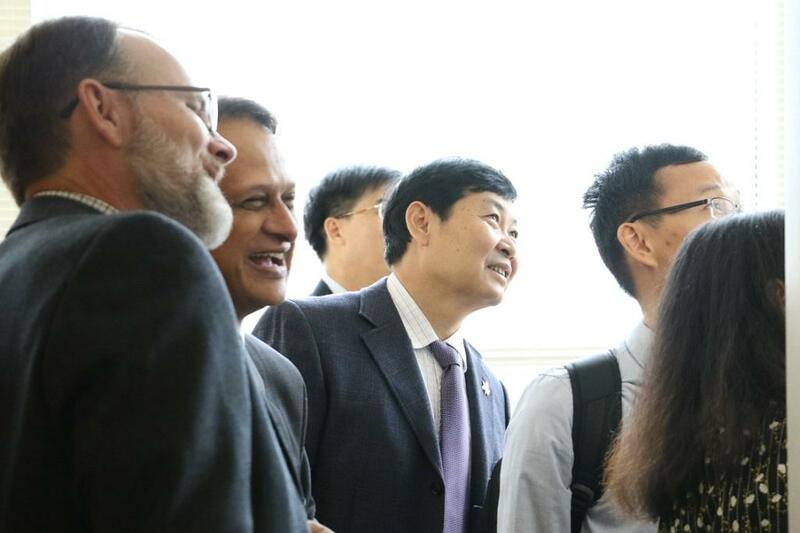 Vice President for Research Prakash Nagarkatti (Pathology, Microbiology, Immunology), Vice Provost and Dean of the Graduate School Cheryl Addy (EPID/BIOS), and Chair of Clinical Internal Medicine Helmut Albrecht (School of Medicine) also met with the delegates. 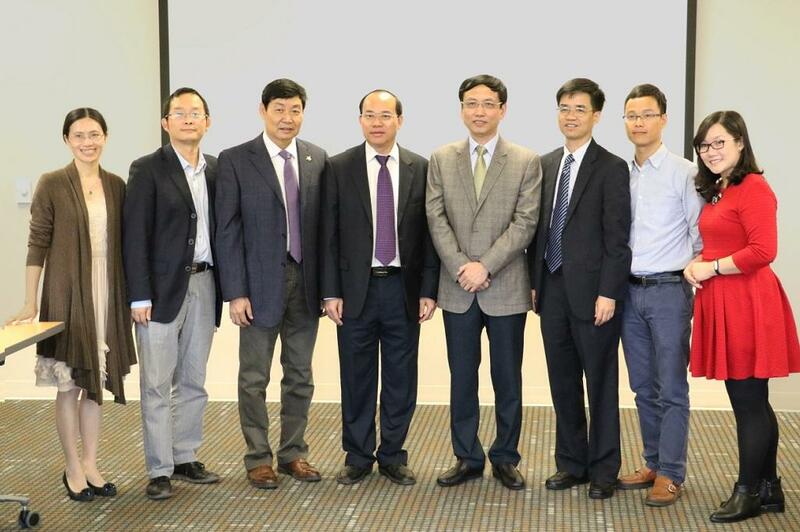 **The group from GMU was represented by Qiu Xiaoqiang (Professor and Director of the Key Laboratory of Clinical Epidemiology), Wu Weifeng (Professor and Deputy Director of the Key Laboratory of Regenerative Medicine), Qin Yuanhan (Professor of Pediatrics), Lin Yuan (Professor of Gastrointestinal Tumors), Flora Wang Zhen (Interpreter). 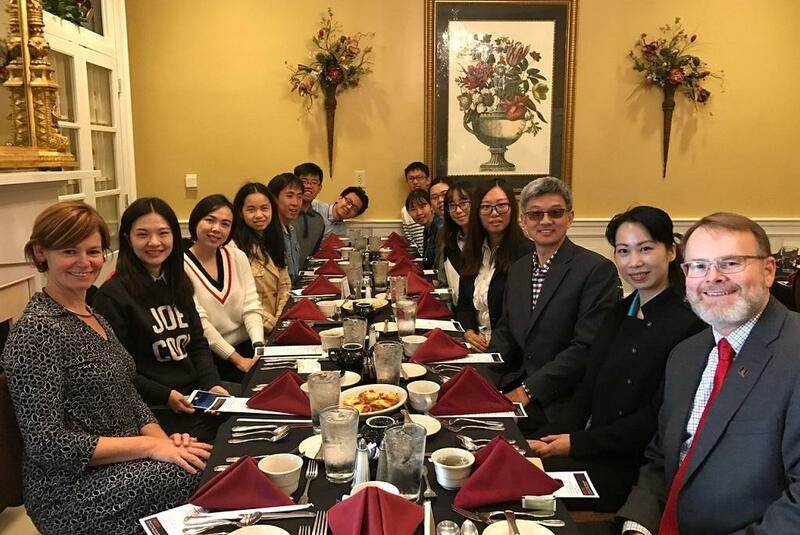 Representatives and students from Guangxi Medical University visited USC in November to discuss collaborations, such as research projects, dual degree programs, and faculty/student exchanges.